Double skinned lockable Grit Bins manufactured in the UK for over 10 years. They are our best selling bins and demand for them continues to grow. Widely distributed throughout the UK and Europe, and increasingly popular with councils looking for durability and affordability, the quality of these large grit bins is second to none. 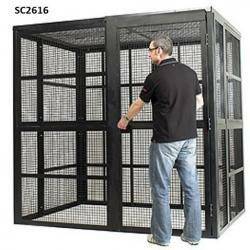 Extremely tough and virtually indestructible with capacities of salt varying from 200ltrs ( 250Kg ) and 400Ltrs ( 500kg ). Our patented hinged lids will protect grit / salt from all elements. 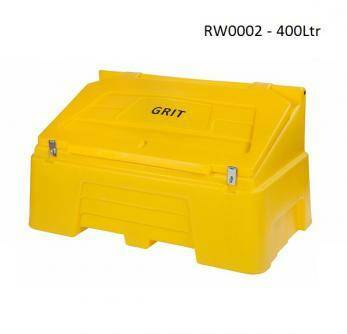 Buy grit bins on their own or with rock salt to fill the grit bins , all our bins are fitted with hasps and staples as standard so you can control access to the contents. Grit bins are supplied as yellow , recycled black from standard stock and will be delivered within 3-5 working days. Other colours are available simply call our sales team to discuss.